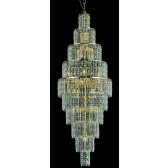 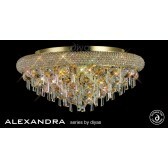 A spectacularly, dazzling, awe inspiring range filled with an abundance of Asfour crystal available in a Polished Chrome and French Gold finish. 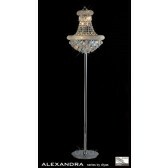 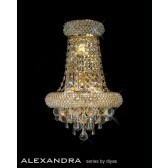 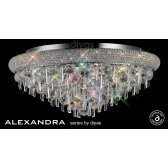 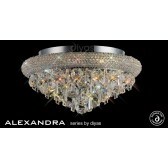 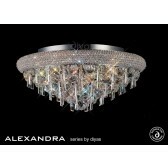 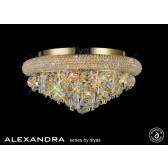 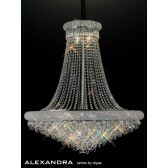 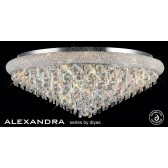 Alexandra is a one of a kind range like no other Diyas collection before it. 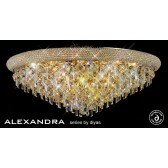 Each fitting utilises a multitude of clear crystal with a great variety of crystal cuts creating an incredible array of crystal reflections. 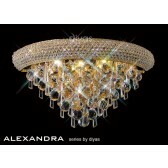 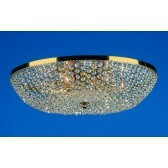 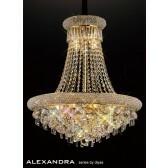 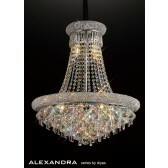 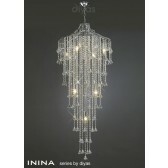 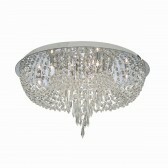 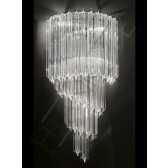 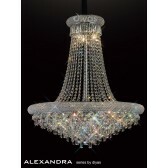 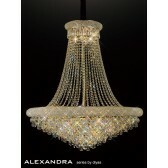 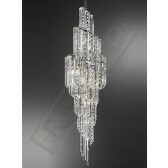 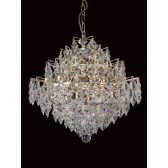 Every flush ceiling light in this collection features a substantial ring of crystal beads. Each fitting in this comprehensive range features a basket or multiple baskets of crystal pieces combining two sparking crystal cuts- 40mm clear balls and 62mm hexagonal drops. 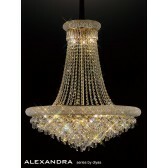 Descending tiers increasing in size flow together with cascading strands of crystal beads. 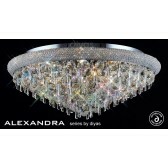 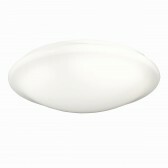 All products in the Alexandra range host E14 lampholders with a maximum wattage of 60W. 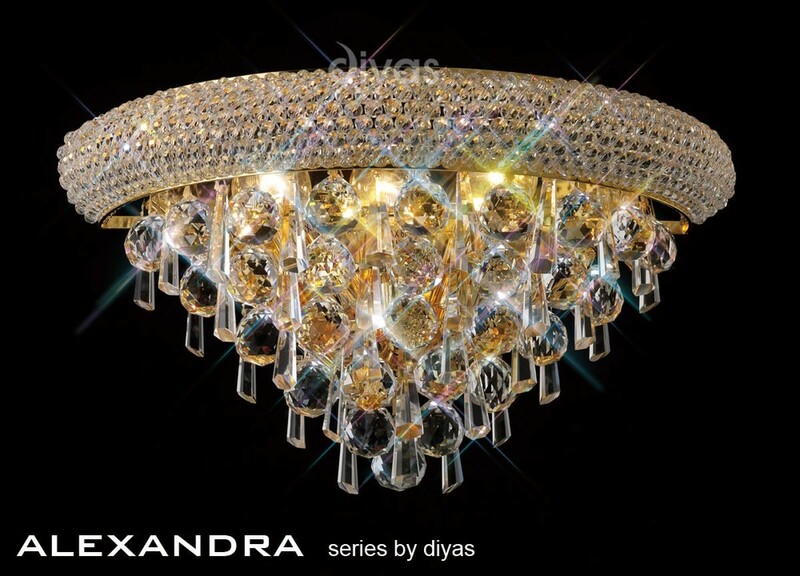 With show stopping chandeliers, ceiling lights, wall lights, table lamps and floor lamps, it is a perfect range to bring grandeur and regality to any room.